As a cornerstone of Mayor Wells-Armstrong’s “Kankakee Forward” initiative City of Kankakee leaders launched a riverfront master planning process to reposition the City as a vibrant, regional riverfront destination. The City engaged Hitchcock Design Group to lead a team of planning, design and engineering experts in developing a compelling vision for a four-mile section of the Kankakee River (from Perry Farm Park to US Route 57), giving special attention to the Riverfront Focus Area near Downtown Kankakee. The plan will identify ways to enhance recreational opportunities, environmental quality, cultural importance, economic benefits, and stewardship of Kankakee’s most valuable natural resource. The team engaged the community and stakeholders during the process and completed the master plan in February 2018. That plan is now available for download here. The Illinois Department of Natural Resources (IDNR) classifies the Kankakee River as one of the highest quality rivers in the State, offering superior recreational opportunities, clean water quality, and ecologically-diverse wildlife habitat. A deep-water area called the “Six Mile Pool” extends from the hydroelectric dam to Aroma Park and is noted for its high water quality, scenic beauty, excellent sport fishing, and recreational opportunities. In 2016, the National Park Service announced the addition of the Kankakee River to the National Water Trails System, making it one of twenty-one designated National Water Trails in the United States. The consultant team collaborated with community leaders, starting with the Opportunity Analysis phase, to identify assets, issues, and strategies to meet the community’s objectives for the riverfront. Preliminary strategies were based on local and regional market characteristics, physical, cultural, and financial resources, and the expectations and needs of stakeholders. This phase included a survey and an interactive public workshop. 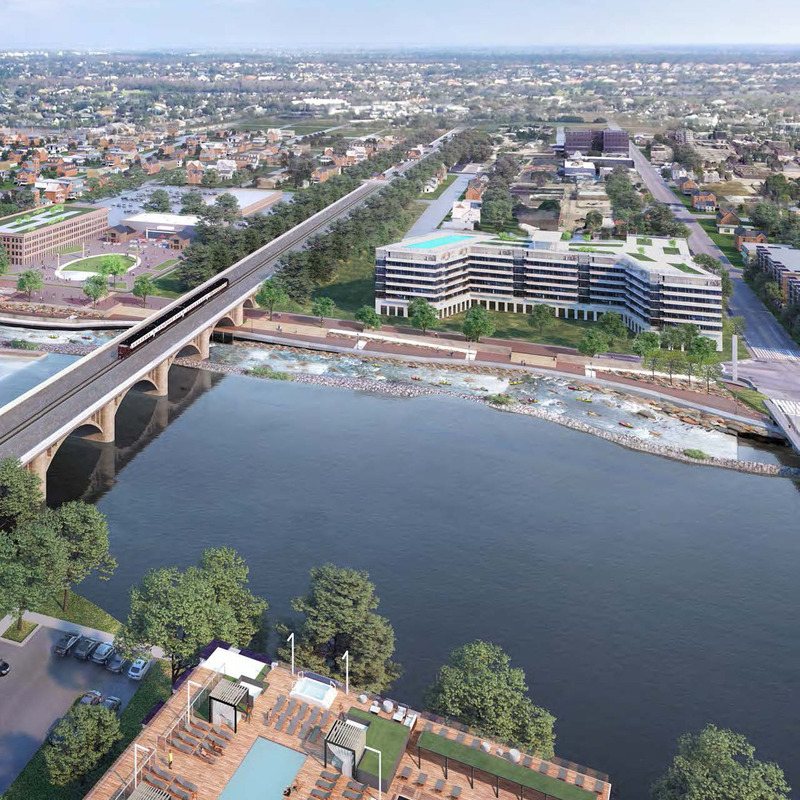 During the Preferred Riverfront Strategy phase, the consultant team created consensus on an overall strategy, recommended riverfront framework and appearance improvements, and suggested private-sector redevelopment opportunities. The team also worked closely with community leaders to develop preliminary implementation recommendations including short- and long-term public policies, operational improvements, and funding strategies. This phase included a Public Open House to showcase the strategy and receive public comments. In the Master Plan phase, the consultant team documents the finalized recommendations including an implementation table outlining short-term (3-5 year) implementation projects, and step-by-step implementation guidance. The Master Plan is now available for download. or visit the City’s website.